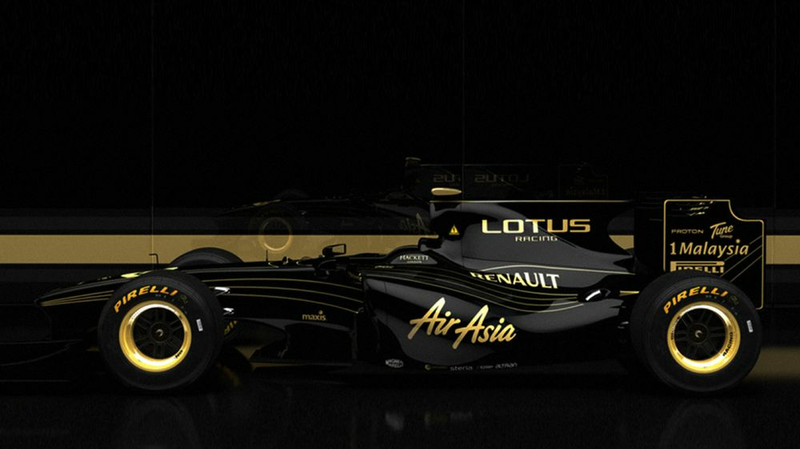 When you think of black and gold F1 cars your mind instantly leaps to Lotus. Whether its the original John Player Special-liveried cars or the more recent rendition in the 2010s, it’s an iconic colour combination, and one which will return to the grid in 2019 courtesy of Haas. 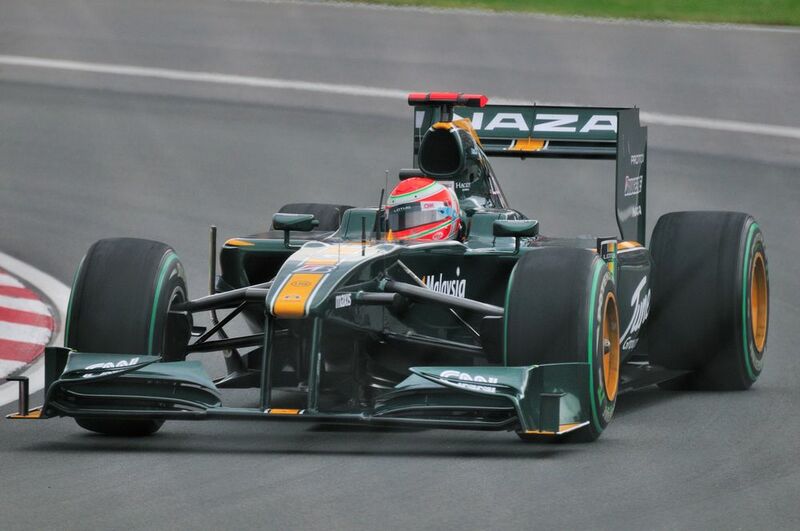 It’s so iconic, in fact, that in 2011 there could have been two teams on the grid running a JPS tribute livery. And that would have been very, very confusing. In 2010, three new teams joined the sport. One of those was called Lotus Racing, having licenced the name from the Lotus car company (Group Lotus). However, after one season the agreement was terminated, so team owner Tony Fernandes acquired the rights to use the historic ‘Team Lotus’ name, which would become the team name for 2011. 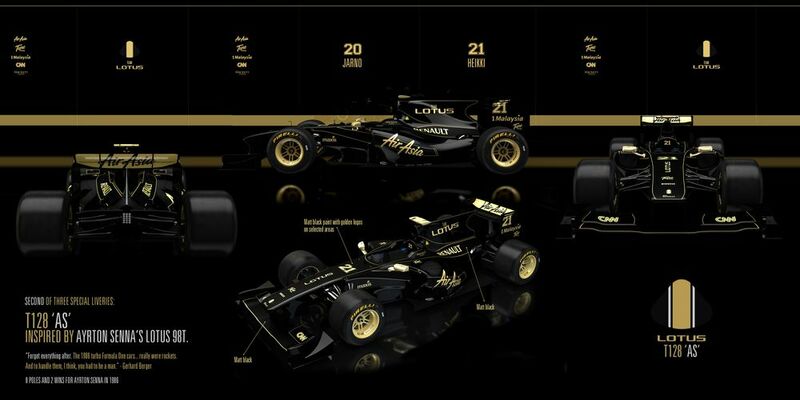 To celebrate, the Team Lotus announced that it would ditch the green and yellow colour scheme for a black and gold one and even asked fans to design the livery. However, at around the same time, Group Lotus announced it was buying into the Renault team and almost immediately unveiled a render of what the 2011 R31 car would look like. And guess what? It was black and gold! Despite the backtracking, Team Lotus picked out a competition winner anyway, with the winning design belonging to Raphael Campos. Nice, right? If anything, it might even be better than the design Lotus Renault cooked up for the R31, which at the time came in for criticism thanks to the red endplates on the wings. Here’s a picture for reference. Looks are subjective and it’s difficult to compare a real-life image with a render, but it’s not quite as good, is it? 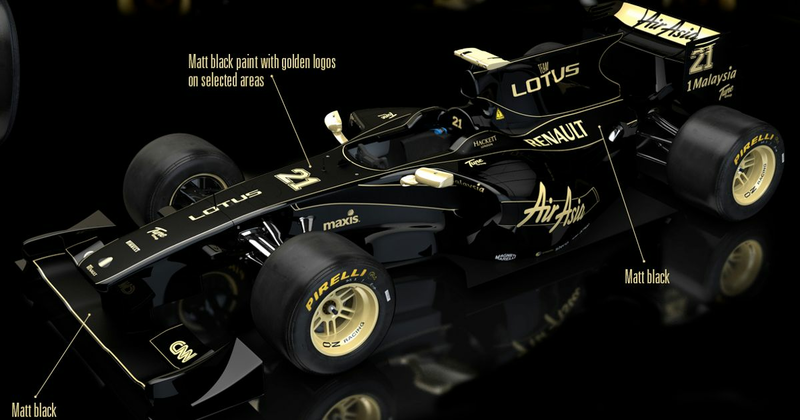 As well as revealing the winning design, Team Lotus also said it would honour the winning design by painting up a show car in black and gold. Unfortunately, that never happened, which is a shame. It’s a real beauty of a design and it would have been interesting to see how it looked in the flesh. Looking back now, the whole situation is kind of hilarious. It’s like two siblings fighting over the last slice of cake - Team Lotus announces it wants the cake, Group Lotus picks up the cake and licks it, therefore claiming it as its own, and then Team Lotus says that it didn’t want the cake anyway and that having cake is a silly idea. In the end, it was probably a good thing. Having two teams called Lotus on the grid was tricky enough - if they’d both looked the same too, it could have been an absolute nightmare.